When I was a little girl I would think about being grown up and sophisticated. Grown-up to me was twenty-five. Twenty-Five. Danielle and I both came up, separately, with the idea of feathers for our yearly headdress, Frozen "Let It Go" was belted, cookie cake was devoured, labradoodles were held against their will and forced to snuggle within an inch of their lives. Jared and I saw Iron and Wine and got suuuuuper mellow. I feel happy a lot these days. There are some crap times, but I feel that the older I get, the more cognizant I am of all the blessings swirling around, resulting in a seriously cheerful Kip. I like my job, I love my family, the Veronica Mars movie came out last night and my house is half-way clean. I feel good about twenty-five. Real good. Thank you to everyone who has already made it so great. 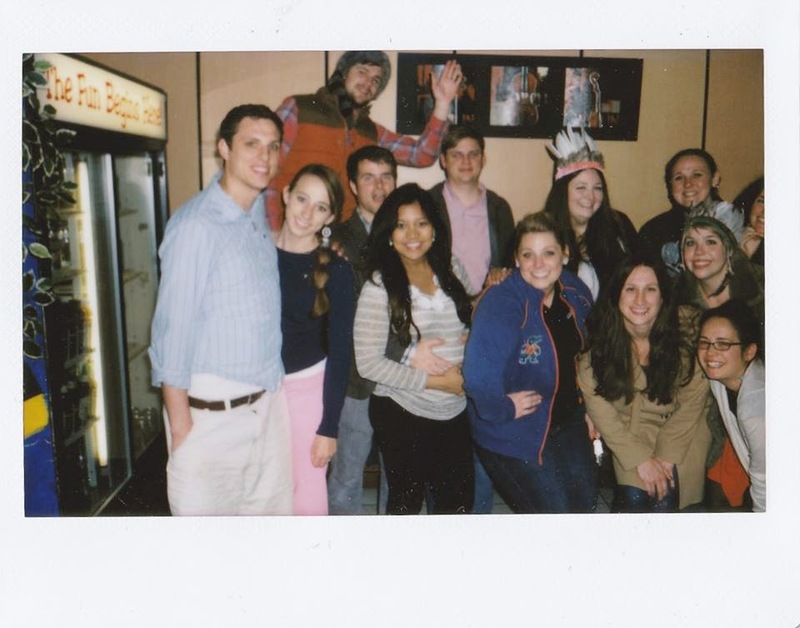 Oh and thanks Austin Karaoke for taking a picture of half the party. Amatuer.